When I first heard that there was such a thing as an oatmeal stout I had a hard time comprehending it. I didn’t know who would want to drink a beer that tasted like oatmeal or had an oatmeal-like texture. Well, oats are just another grain, much like barely, only sweeter. So making a beer brewed with oats is not all that unorthodox, actually. Samuel Smith Oatmeal Stout is a great example of how tasty and smooth a beer can be, even with the word oatmeal in the name. I was only able to find this import in 18.7oz bomber bottles, and due to the bottle shape, it poured very rough with constant “glugs,” but thankfully did not produce a gigantic head. The beer is opaque black in body with a light brown, foamy head which lingered throughout the life of the beer and left some lacing on the glass. The aroma was surprisingly mellow with a general malty, sweet scent. I’m a fan of stouts because they tend to have a strong, roasty quality to their taste. But with Samuel Smith Oatmeal Stout the taste was a bit in the opposite direction. The flavor here is remarkably sweet with a general malty palate. It certainly doesn’t taste like your breakfast oatmeal, but it does have a very robust, yet mellow taste. Chocolate and vanilla seem to be underlying flavors, making this an excellent choice as a dessert beer. 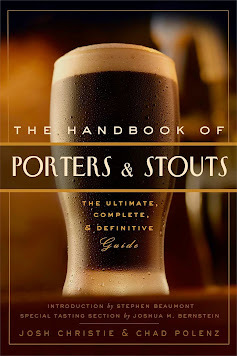 What’s interesting is the beer does not have a creamy texture as many stouts are know for. It has the basic mouthfeel of an ale with a great incorporation of hops so as to have a distinct bitterness. There’s no direct correlation between taste and finish, as some of the sweetest beers can be hard to drink. However, Samuel Smith Oatmeal Stout’s gentle, sweet taste is made even better by the fact it’s so smooth. The brewery describes it as having a “velvety texture and a bittersweet finish.” I couldn’t have said it any better myself. A beer like this just goes to show the versatility of the stout style. Many people would just assume this is a heavy beer, either in terms of potency or sheer weight, but it’s surprisingly light. At only 5% ABV, Samuel Smith Oatmeal Stout is lightweight-friendly (especially considering its delectable taste). I wasn’t able to find out the number of calories and carbs, but I’d estimate their numbers are fairly average and comparable to a mass-market lager. This is NOT a beer that sticks to your ribs, and would work well as a session brew if it wasn’t so rare and expensive. I cannot fathom why Samuel Smith Oatmeal Stout is not as popular as, or even more well-known than Guinness. This beer is much tastier and easier to drink, and considering its relatively light body it could be enjoyed by anyone. Talk about not judging a book by its cover!